The JCW Fire & Acoustic Downlighter Cover provides fire protection and sound absorption for downlighters. Downlighter covers can be used in homes, shops, businesses, offices and apartments. Practical: The downlighter covers allow light fittings to operate without overheating. 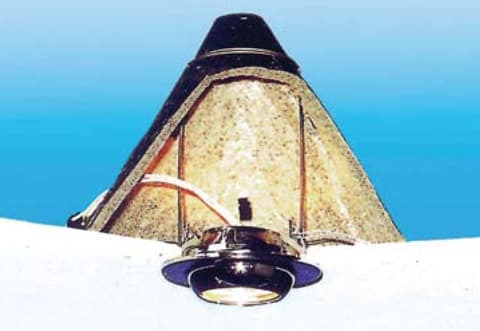 Resistant: the fire rating integrity of the ceiling to which the downlighter is attached (30-60 minutes of fire rating) is maintained. Bespoke: Cloth sizes can be made to order. JCW Acoustic Downlighter Covers and Cages pass British Standards tests on all types of ceilings, meeting Document B and E (acoustic requirements) of UK Buildings Regulations and the revised 16th Edition IEE Regulations.